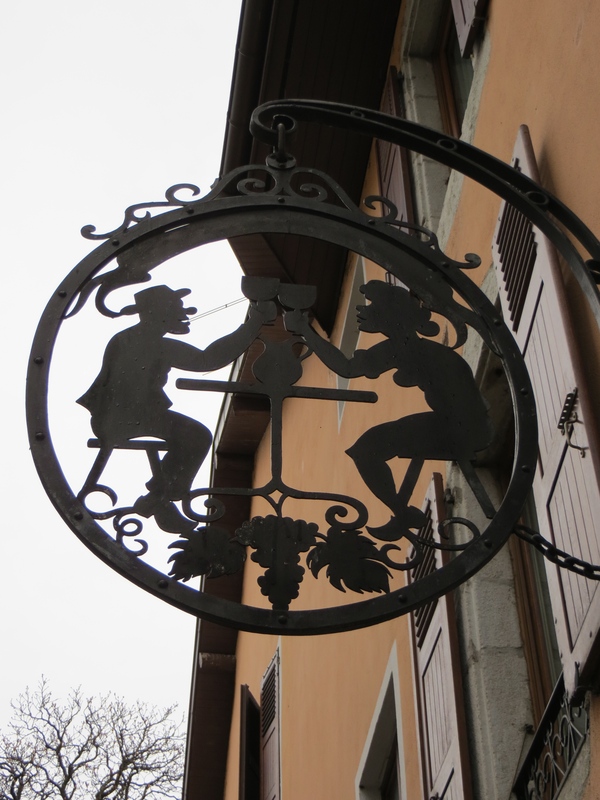 Nearly every time I asked Geneva locals or longtime expats where I should take a day trip, they replied “Annecy.” But six months after moving here, I had still failed to take the 45-minute bus trip to this medieval Alpine village. 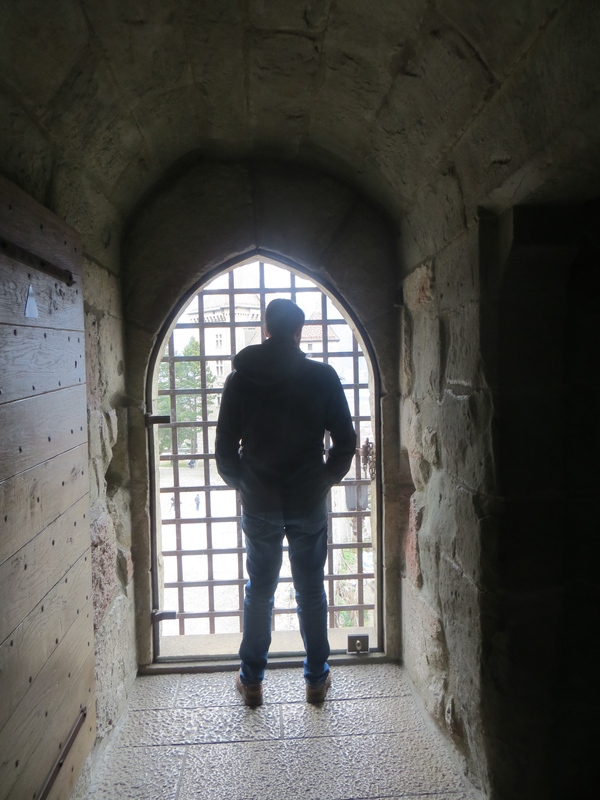 It’s terrible for me to write, but it was hard to convince myself to visit yet another ancient cathedral, chateau and cobblestoned place. 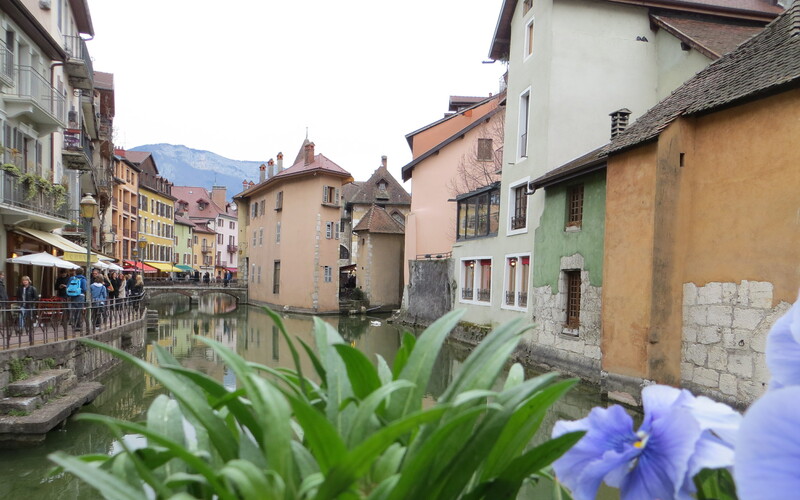 Every other day trip we take seems to offer the same and it’s no secret that I crave the exotic… …but Annecy was a breath of fresh air on what was shaping up to be a gloomy, rainy Saturday. Much better spent than doing laundry and watching Netflix. 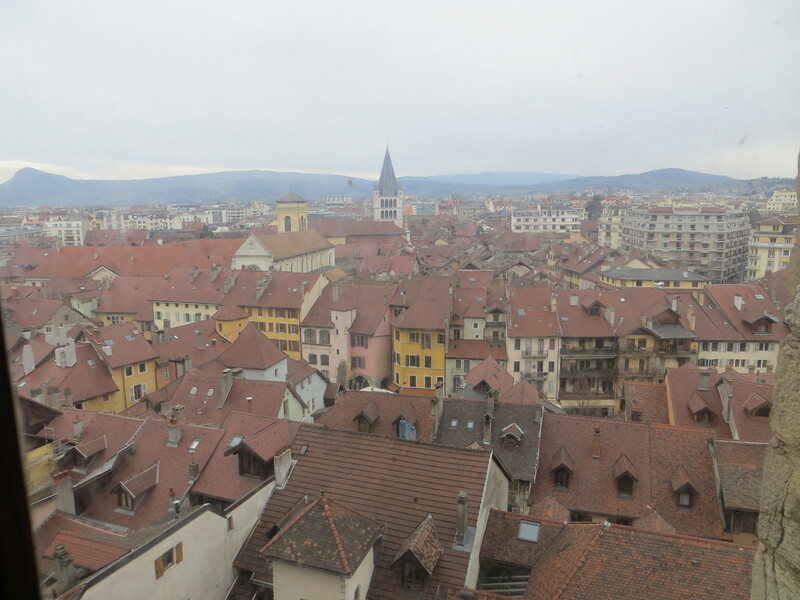 The rather large Vielle Ville (Old Town) is interconnected by a series of bridges, secret tunnels, steps and passageways. 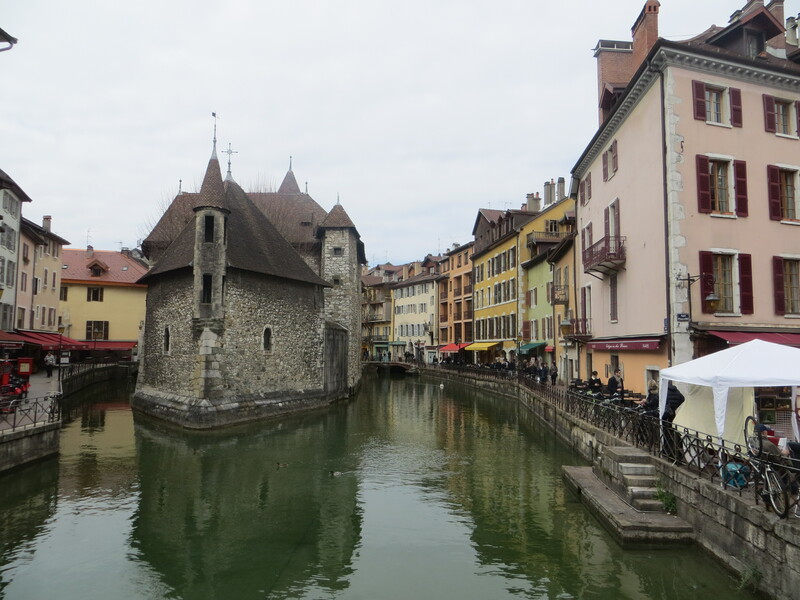 I can imagine Annecy is especially fun to explore as a child-dreaming of knights, drawbridges and sword fights. It was also fun as an adult, because each corner you turn offers an idyllic cafe. 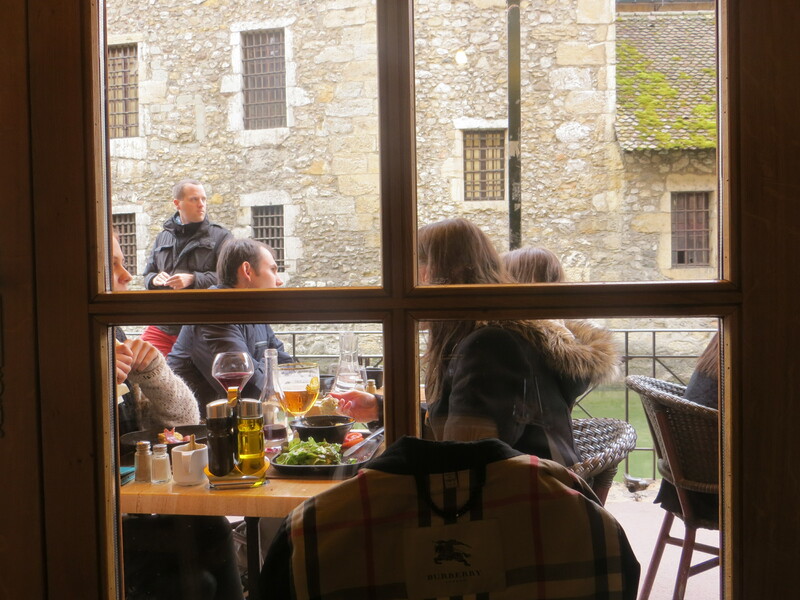 After a chilly walk around Annecy’s gorgeous lake (complete with snow-capped mountains in the background), we popped into a Breton-style creperie for lunch and some local beer. The beer was delicious, but I was quickly envious of everyone around me who’d had the sense to order hard cider–the correct way to eat savory crepes, “galette.” You know you are in a true Breton restaurant when hard cider is poured into small bowls, like these. 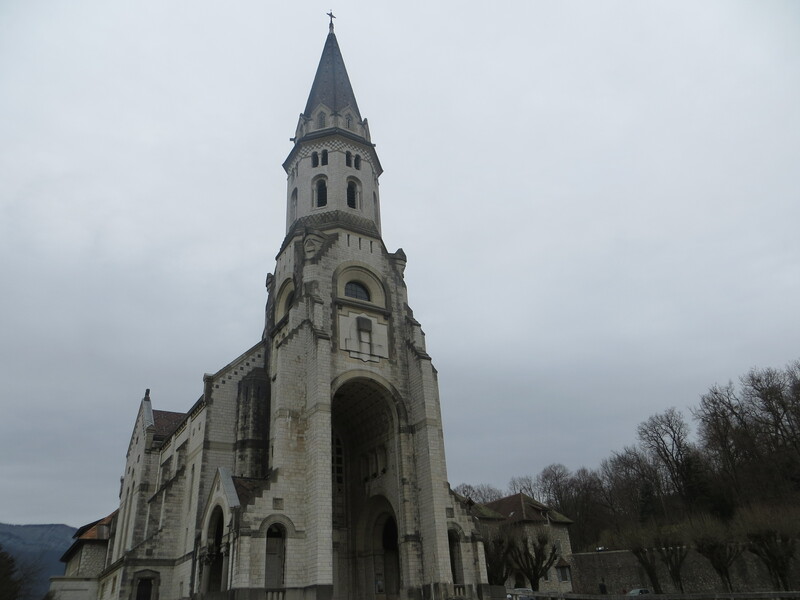 Then we hiked up to visit the Basilique de la Visitation, a Catholic church that Pope John Paul II had visited in the 1980s. I spied a few nuns in their habits, which is always a thrill for this Protestant. 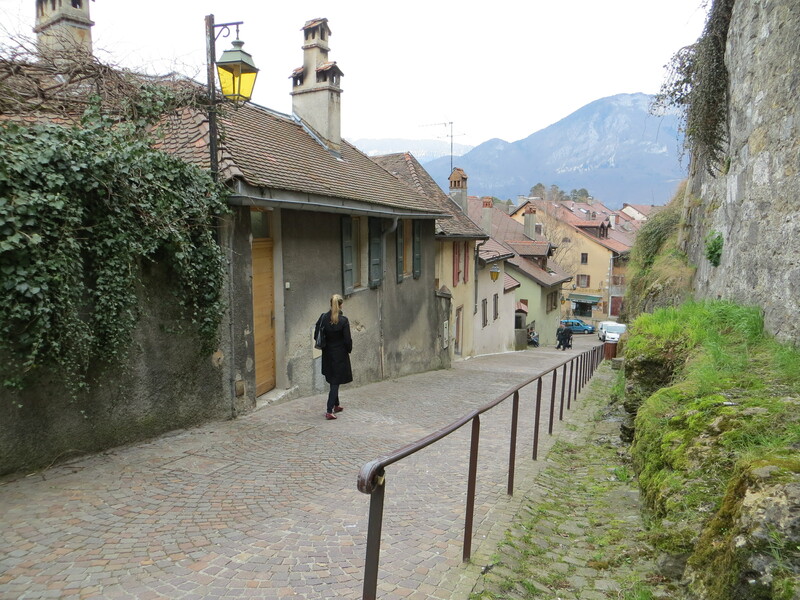 The hike is worth the view of Annecy alone… On our way down, we stopped at the local castle–Chateau d’Annecy–as one does in nearly every French and Swiss village. 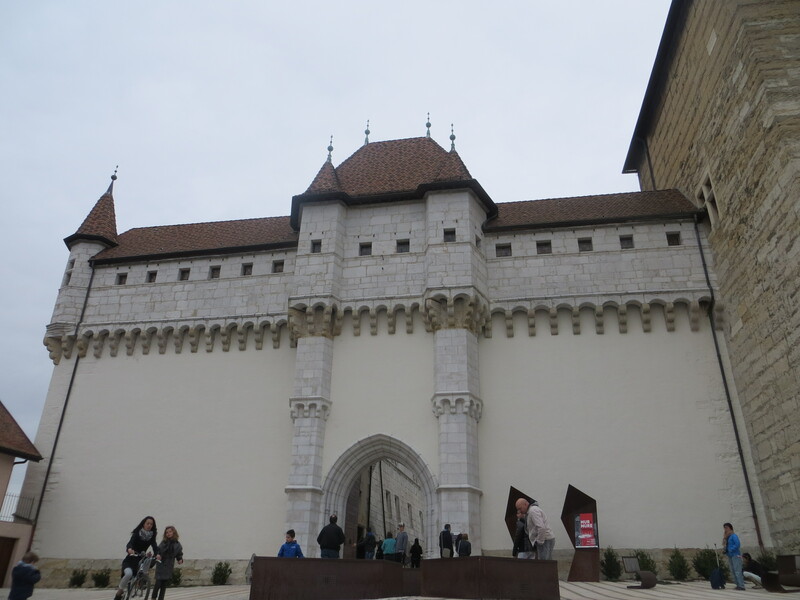 Inside was a surprisingly modern art gallery and some medieval relics. I was particularly taken with a landscape painting by Jean-Honoré Fragonard that had been recovered from the Nazis after World War II. 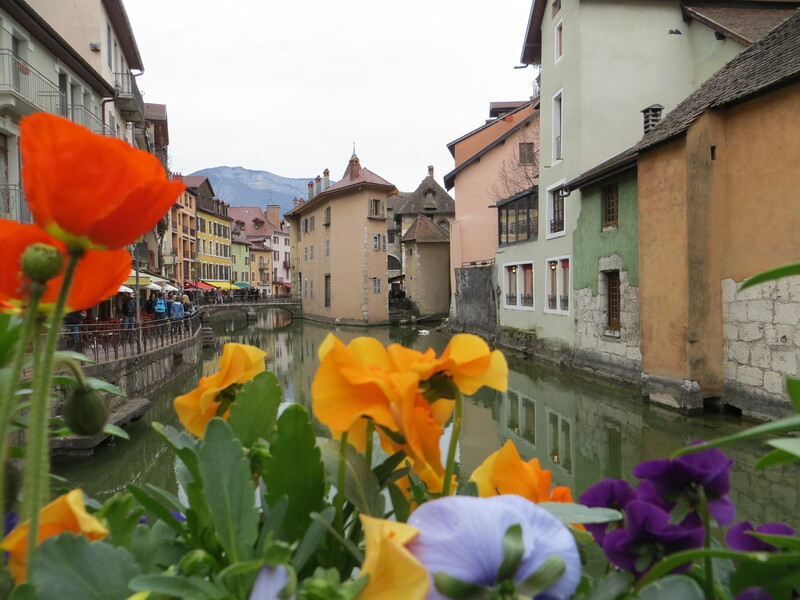 Annecy is well worth the short trip from Geneva because it is so well-preserved. You will feel transported back a few centuries. Travel: Does your family know where you are? Those canals are adorable, and I love the colours of the buildings! This was just stunning. Great pictures! Love it! We will definitely have to take a day trip here : ) Thanks for the tip!